Hawkshead are pleased to announce the launch of their New Season Collection which is available now! Check out the selection of over 900 items that will ensure you are ready and prepared for the season ahead. Welcome to the latest newsletter from Pure Leisure Group and Silverbean. Pure Leisure Group are pleased to announce a fabulous offer for the Easter break! Get 50% off camping pod stays at Billing Aquadrome, Fell End Holiday Park and Hall More Holiday Park for arrivals between 23rd March and 18th April! To qualify for the promotion simply use discount code POD50 when booking. But hurry, your holiday must be booked by 7th April 2018 to qualify for the discount! Terms & Conditions: Offer applies only to arrivals between 23rd March – 18th April 2018. Offer only applies to Billing Aquadrome, Fell End Holiday Park and Hall More Holiday Park . Offer valid on camping pods only. Can not be used in conjunction with any other offer. No cash alternative. Applies to new reservations only. Offer subject to availability. Minimum 2 night stay applies. In Association with Pure Leisure Group's Exclusive Affiliate Partners Agency. 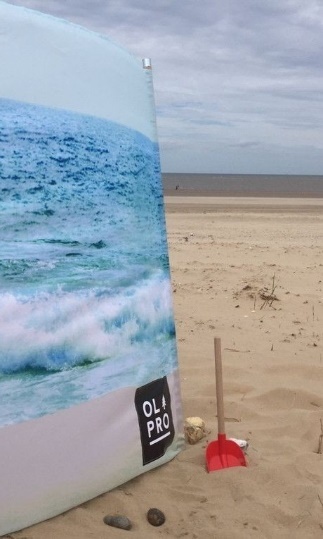 Welcome to OLPRO and the Great Outdoors. 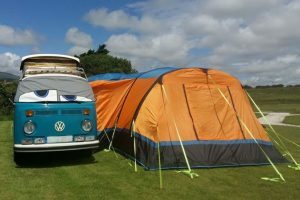 With a growing reputation for campers and people who love their camper van, we design our products in the UK for people who want a technical camping experience. We are unique, for individuals, who like to stand out and because we sell direct our prices are extremely competitive. That's why our products are all designed and tested here in beautiful Worcestershire. We are a team of experienced, knowledgeable individuals with a deep and genuine passion for getting outdoors - and our aim is to improve that experience for everyone. Camping and camper van gear doesn't have to be beige, navy and boring - that's why our designs are bright, colourful, modern and stylish. And we want you to be part of our team. All OLPRO products are exclusive to us. 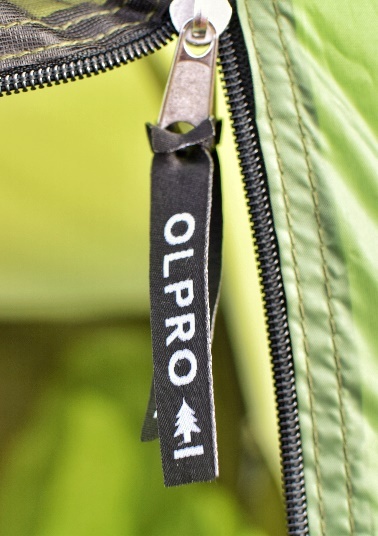 Your readers and customers will have access to high quality camping equipment from a brand that is fantastic value. 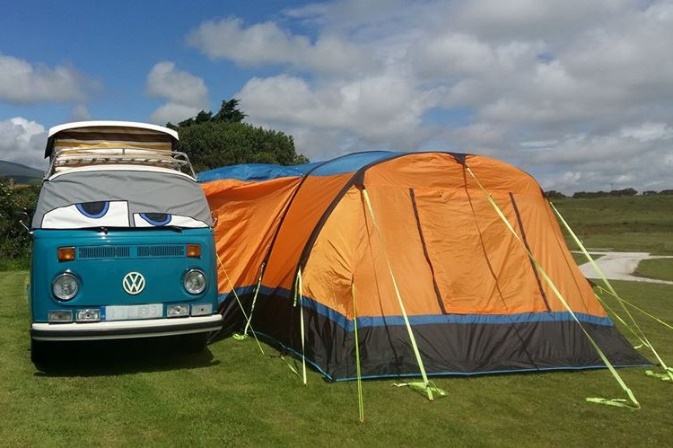 We offer around 250 different products with our main ranges including tents, camper van awnings, melamine tableware, printed windbreaks and essential chemicals for camping, camper vans and caravans. What opportunities are available to you? An opportunity to promote premium products and a premium brand. Strong conversion rate with a high average order value of £130. Frequently updated creative, banners and content such as blogs, user photos and our own photoshoots and films. A strong social brand with lots of content. We also offer customers 0% on purchases over £300. Lots of banners and images for you to use. Pure Leisure Group - Two Great Offers! Book a 3 night stay for the price of 2! This offer is available from the 6th November to 20th December 2017 at the following locations: Billing Aquadrome, Tydd St Giles, South Lakeland Leisure Village, Crook O’Lune and Fell End Caravan Park. To qualify for the promotion simply use discount code FREENIGHTS3. Terms & Conditions: Offer available between 6th November and 20th December 2017. Offer subject to availability and applies to new reservations only. Offer applies only to Billing Aquadrome, Tydd St Giles, South Lakeland Leisure Village, Crook O’Lune and Fell End Caravan Park. Bookings must arrive and depart before 20th December 2017. Not to be used in conjunction with any other offer. No cash alternative. Nonelectric pitches are available from �10 per night at Billing Aquadrome. Electric pitchesare available from �16 per night as well! Just enter the following codes at checkout to qualify for the discount. Terms & Conditions: Offer applies only to Billing Aquadrome. Offer applies only to camping and touring pitches. Not to be used in conjunction with any other offer. No cash alternative. Maximum 7 night stay. Offer subject to availability and applies to new reservations only. Date restrictions apply; for arrivals and departures between 6th – 23rd October, 6th November – 24th December, 1st January – 6th January. Excluding arrivals and departures between 24th October – 5th November & 25th December – 31st December. Pure Leisure Group - 7 Nights For The Price Of 5! Book a 7 night stay for the price of 5 this Autumn! This offer is available between 1st Sept to 20th Oct and 6th Nov – 20th Dec 2017 at the following locations: Billing Aquadrome, Tydd St Giles, South Lakeland Leisure Village, Crook O’Lune and Fell End Caravan Park. To qualify for the promotion simply use discount code FREENIGHTS7. Terms & Conditions: Offer available between 1st September – 20th October 2017 and 6th November – 20th December 2017. Offer subject to availability and applies to new reservations only. Offer applies only to Billing Aquadrome, Tydd St Giles, South Lakeland Leisure Village, Crook O’Lune and Fell End Caravan Park. Bookings must arrive and depart before 20th December 2017. Not to be used in conjunction with any other offer. No cash alternative. Welcome to the latest newsletter from Berghaus and Silverbean. Berghaus' End of Season Sale ends this Thursday 31st August 2017. Make sure you get your gear while you can with up to 50% off selected SS17 products! Walking and hiking just got more attractive with our lightweight waterproof jacket. Last minute escapes to the countryside or a strenuous day on tough terrain, whatever your adventure this jacket has everything you need. Changeable weather? No problem, water won’t find its way through our HYDROSHELL® Elite fabric and it’s designed to keep you fresh and comfy no matter how tough it gets as it’s brilliantly breathable too. For even better weather protection there’s an adjustable wired peak hood and if it’s dry, just roll it up and fold it away. As for better movement, arms and sleeves are unrestricted and let’s not forget a range of pockets to safely stash all your hiking essentials and the odd minty sweet. Available in colours Blue and Pink. Despite its laid-back looks, the Extrem 7000 Hoody is no slouch: this technical, lightweight fleece is built for performance…day in, day out. Heads up: the Extrem 7000 might look like a relaxed bit of kit, but this hoody will work hard for you all year round.. For a start, it’s made of POLARTEC® Power Grid fabric – not just super-toasty, but also incredibly fast drying. And here’s the clever bit: the integrated balaclava and hood can be worn four ways to help you endure all kinds of foul-weather conditions – from ‘pretty bad’ to ‘can I go home now, please?’ With this hoody, you’ll be ready for mountains and anything they throw at you. Available in Dark Red/Red and Green/Dark Blue. Taking versatility to new heights, this toasty everyday fleece can be easily zipped in to one of our technical jacket when you need extra protection. First, the basics. An upgrade on a classic Berghaus mid-layer, this fleece is warm, hard-wearing and high-quality. And here’s the clever bit. It features our InterActive zip, which means it’s a cinch to attach it to lots of our outer shells when the weather’s testing your limits, so it’s a key element of your ready-for-anything layering system. Another refinement we’re proud of is that it’s made with more than 50% recycled fabric – so it’s kinder to the planet. Available in Dark Red and Blue. In Association with Berghaus' Exclusive Affiliate Partners Agency. Hawkshead is offering up to 70% off your favourite outdoor brands, Craghoppers, Regatta and Dare2B in the Summer Sale! Get everything you need for your next adventure! A warm and durable mid-layer, the Addison Hoody combines soft brushed back Symmetry fleece (240 gsm) and Extol stretch for insulation that moves with you on the trail. The zip-through design features stretch binding at the cuffs, hem and hood for a contoured fit to seal out the elements and two zipped pockets to secure adventure essentials. With the Regatta embroidery on the chest. You'll go a long way with this capacious new travel bag. The tough construction features a wheeled base and extending T-bar handle that make life a bit easier when you've got a way to trek before you reach your destination. The twin cavity means you can organise your belongings to suit your trip. Pure Leisure Group - 20% Off Holidays Plus Free Leisure Passes! Book your stay at South Lakeland Leisure Village or Tydd St Giles Golf and Country Club to receive 20% off and free leisure passes for your stay during August! Simply use discount code summer20 when booking. T&C’s: Offer subject to availability and applies to new reservations only. Available between 1st – 31st August 2017. Offer applies only to Tydd St Giles Golf and Country Club and South Lakeland Leisure Village. Cannot be used in conjunction with any other offer. Bookings must arrive and depart before 31st August 2017. 20% Off Plus Free Leisure Passes This August! In Association with Pure Leisure Group's Affiliate Partners Agency. Craghoppers - Now Up to 70% Off! Craghoppers mid-season sale just got bigger. Now get up to 70% off selected items from across the site! Pure Leisure Group - Get 10% Off Your Summer Holidays! Pure Leisure Group are pleased to announce they are offering a 10% discount on lodge holidays at Tydd St Giles, South Lakeland Leisure Village and Crook O Loon, as well as a 10% discount on camping and touring holidays at Billing Aquadrome, Hall More and Fell End. T&C’s: All offers are subject to availability and apply to new reservations only. Not to be used in conjunction with any other offer. This offer only apply to Tydd St Giles. T&C’s: All offers are subject to availability and apply to new reservations only. Not to be used in conjunction with any other offer. This offer only apply to South Lakeland Leisure Village. T&C’s: All offers are subject to availability and apply to new reservations only. Not to be used in conjunction with any other offer. This offer only apply to Crook O'Lune. T&C’s: All offers are subject to availability and apply to new reservations only. Not to be used in conjunction with any other offer. This offer only apply to Billing Aquadrome. T&C’s: All offers are subject to availability and apply to new reservations only. Not to be used in conjunction with any other offer. This offer only apply to Hall More. T&C’s: All offers are subject to availability and apply to new reservations only. Not to be used in conjunction with any other offer. This offer only apply to Fell End. Craghoppers is pleased to announce their Mid Season Sale! Get up to 40% off selected items from across the site! The Ordnance Survey Map Sheet Finder (available on their site), which helps visitors to identify the best map for their outdoor activities, is now available to affiliates. It's easy to add, as it's a simple iframe call, but remains very flexible with a number of parameters to set the map type, location shown, zoom level and search functions. It's designed to automatically respond to any screen size for maximum usability. It can be used as a general overview map, or pre-set to a specific location, which is ideal if you have a lot of location-specific pages. It's ideal for any sites that write about the outdoors or outdoor gear, hobbies and activities such as bird-watching or fishing, or specific locations in GB. You can find a document with detailed instructions on the publisher profile at awin.com/documents and if you need any help you can contact OS for support through their Awin profile. HAWKSHEAD - 60% OFF CLEARANCE! Hawkshead is pleased to announce their 60% off clearance is here! It's a brilliant time to stock up on your summer adventure essentials! Hurry whilst stocks last! Head on-site to view their latest offers! Hawkshead - Flash Sale! 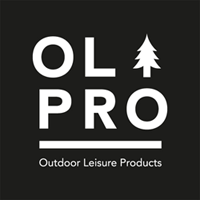 60% Off Outdoor Essentials! Hawkshead is pleased to announce a Flash Sale with 60% off Outdoor Essentials! Hurry whilst stocks last! Head on-site to view their latest offers! Hurry, this offer is only good until Midnight on Tuesday 25th April! At Clas Ohlson, the modern home and hardware store from Sweden, we have all of the products you need to fix things at home, when you want to build and decorate, or when you just want to relax. Buy with confidence with our free minimum 2-year guarantee and our 90-day refund policy. Plus take advantage of our free Click & Collect delivery service now available online. All our products are great value and we have a Price Match Promise. Everything you need, when you need it. We have new and exclusive offers for you to enjoy so why not get more for less with great value offers at great value prices here at Clas Ohlson! - Keep the battery topped up! Our Power Bank provides one full charge, only £7.99. - Protect your iPhone with this stylish iPhone 6 wallet case is just £6.99. Find everything you need for your summer adventure. - Find the perfect festival tent, our 3 Man Tent is just £29.99. - Asaklitt Camping Chair, was £19.99 now just £14.99. Everything you need for summer living! - Time to start the BBQ? Our Kettle BBQ is ideal for small gatherings, just £19.99. - Enjoy the sunshine with our 6-Piece Garden Furniture Set, just £59.99. On top of all of our great value offers we are also offering FREE standard shipping on all orders over £40 and free Click & Collect delivery to your nearest store! 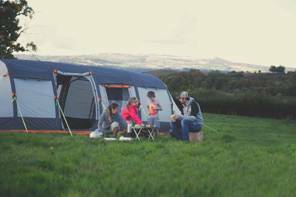 PURE LEISURE GROUP CAMPING PODS & JULY OFFERS! It's not too late to book a last minute break with Pure Leisure Group's camping pods. There's no better way to enjoy the outdoors this summer than with maximum comfort and minimal fuss of Pure Leisure's camping pods. The only things you'll need to set up are your sleeping bags or camping beds – other than that, you can step right in and get comfy straight away. Some call it glamping (glamorous camping), because it blends more traditional camping with cosiness and creature comforts that aren't guaranteed in a tent. Currently, you can enjoy the camping pod experience at three of our holiday parks: Fell End and Hall More (both in the Southern Lake District), and Billing Aquadrome (Northamptonshire). All three locations are fully equipped for unforgettable family holidays and surrounded by greenery – offering you and your family plenty of opportunity to enjoy the UK countryside in all its glory. BOOK TODAY AND PAY A LOW DEPOSIT! Book your holiday today and pay a small deposit... then simply pay the rest of your balance 60 days prior to your holiday. T&Cs: Applies to holidays taken any time of the year. Cancellation cover if taken must be pain in addition to deposit value. Payment in full required 60 days prior to arrival. Save up to 10% on your holidays when you come back to Pure Leisure Group. Simply book your return stay and receive 5%. Book 3 (or more) stays and receive 10%. After your first stay you will be given a unique code that can be used online or by phone. Available at the following Holiday Parks; South Lakeland Leisure Village, Crook O' Lune Holiday Park, Hall More Holiday Park & Fishery, Fell End Holiday Park, Tydd St Giles Golf & Country Club, Silverhill Holiday Park, Billing Aquadrome Holiday Park. Book now by calling 01524 781453. T&Cs: Applies to holidays taken within 12 months of first stay. Discount cannot be carried over or retained after 12 months. Maximum discount 10%. Not to be used in conjunction with any other offer. No cash alternative. In Association with Pure Leisure Group Affiliate Partners Agency. Welcome to the latest newsletter from Silverbean and Craghoppers. Summer has finally begun bringing us the solstice celebrations and the Summer Sale from Craghoppers: up to 40% off selected items from the new season. Spread the news about the Summer Sale across your readers, followers and subscribers today! Browse our outdoor range of festival and camping essentials. - Asaklitt 3 man tent just £29.99. - Keep everything dry with our 18L Asaklitt Rucksack, was £29.99 now just £23.99. - Save over 40% on the Stanley Mobile Work Centre was £49.99, now just £29.99! - Save over 20% on the Cocraft LXC Drill/Driver was £69.99, now just £54.99! - Enjoy some al fresco dining underneath this Gazebo/Pergola for £99.99. - Relax and unwind in the garden this summer with the Asaklitt Rocking Sun Lounger just £59.99. The Winfields Outdoors affiliate program is now live on Affiliate Window. An Outdoor Superstore with all the experience of a bricks and mortar brand. Having established themselves in 1972, Winfields has gone from strength-to-strength and now finds itself as one of the UK's leading outdoor brands. Join the affiliate program today for 5% commission on all sales, regular discount codes/promos and a product feed that's updated on a daily basis. View our full profile here. If you require any more information on the program, please get in touch using the email address below. The Caravan Club affiliate scheme has launched! The Caravan Club is Europe’s largest touring community with over one million members. Our members have access to over 3,000 sites, bespoke insurance products, an overseas travel service, plus member offers, savings on days out and attractions and much more. The aim of our affiliate scheme is to reach new audiences and further grow our membership. The cookie length is 30 days and commission is fixed at £2.40, regardless of payment type. We know that the majority of prospective members sign up within 5 days of visiting our site. The Shorefield Holidays 12 days of Christmas holiday sale starts on the 25th December 2015 and each day until the 5th January 2016 we will be offering an exclusive code that can be used to get 25% off any 2016 self-catering or camping & touring holidays at our parks. so promote onsite to users today and receive 6% commission. We have fantastic offers for August Bank Holiday at our holiday parks in Hampshire and Dorset. Nearby to stunning coastline and a whole host of popular attractions, our parks are the perfect place to spend the August Bank Holiday. Shorefield Holidays: Great Deals on South Coast Self-Catering, Touring and Camping. HOLIDAY OFFERS FROM SHOREFIELD HOLIDAYS. Shorefield Holidays would like to welcome you to join our brand new affiliate programme. The main areas of our business are holiday sales for self-catering, holiday sales for camping and touring as well as holiday home ownership. Shorefield Holidays has six parks located on the South Coast in Hampshire and Dorset offering holidays, holiday home ownership, leisure clubs, spas and more. Our parks are located in beautiful surroundings with many popular attractions that draw many guests to our parks throughout the year. We have special offers and promotions on our South Coast holidays throughout the year, catering for families, couples and groups. Specials offers and last minute deals are updated weekly and are all found on our special offers page. Holiday Home Ownership at Shorefield Holidays offers customers the chance to make every weekend a holiday, we have one of the largest selection of Holiday Homes for sale in Dorset, Hampshire, New Forest and the South Coast. When they buy one of our holiday homes for sale on one of our exclusive parks in Dorset and Hampshire, they can escape whenever it suits them. Our South Coast holiday homes are all allocated in a variety of landscaped settings and offer a choice of exclusive leisure facilities including day spas, pools, gyms and more. Our Holiday Home Ownership scheme offer publishers the ability to drive quality leads and traffic to the Shorefield Holidays website in return for a fixed fee. • £7.50 for Holiday Home Ownership VIP tour. Images and banners available on our Affiliate Window channel.